For fluffy dumplings, pastries, puddings and pies. Suitable for vegetarians. 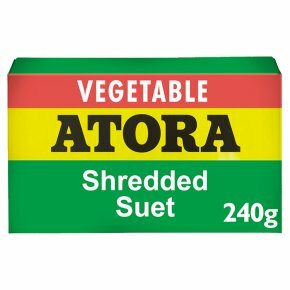 Atora Vegetable suet can be used in the same way as standard suet and tastes every bit as good. Made from vegetable fats, Atora Vegetable contains no animal products and is thus extremely suitable for vegetarians.